We arrived at 8:50 p.m.–or 20:50 in military time. That’s what we had to go by: a clock foreign to Calvin Salacain and myself– reporters observing the ROTC training weekend at Gunpowder Military Reservation. Escorted by Major Tortella onto the camp, we met up with our guide and go-to person for the next 24 hours, Cadet Jake Dulling. 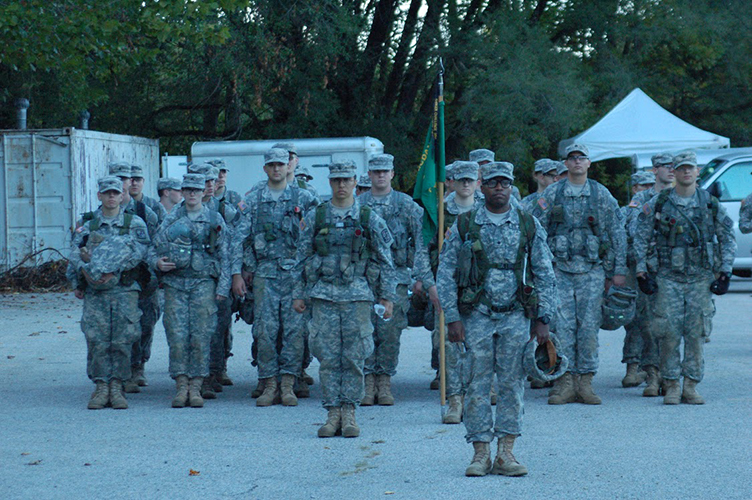 A senior at McDaniel, Dulling is a MS4, highest cadet rank in the ROTC program (first year students are MS1, sophomores are MS2, and juniors are MS3). It was pouring rain, I mean, horribly pouring rain. Calvin and I were to stay overnight, and we, along with the cadets, were moved into tents lined with a concrete floor to shelter us from the downpour. We then entered the what I called the “main tent.” There, we were greeted by Lt. Col. Atherton, who organized our visit to the camp. We were assigned to observe and follow the cadets to their various formations, briefings and physical training. Around the main tent, cadets were emerging from the woods. The darkness made it impossible to see who was who. Dulling led us to put our stuff down in our respective tents, Calvin and the male tent and I in the female tent. Then we followed a group to their end-of-the-night briefing. They were addressed by their last names and used a formal, respectful tone of voice and manner when speaking and being spoken to — something you don’t see everyday among people our age. Cadets and leaders represented McDaniel College, Hood College and Mount St. Mary’s College. This wasn’t your average camping trip. 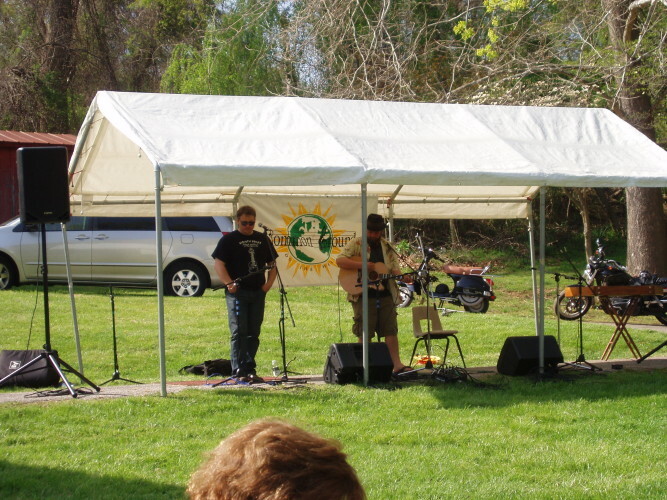 In the tent that night, I felt there was a sense of unity and purpose. The girls in the tent weren’t gossiping or chatting about things of the girly variety. On Saturday morning, I awoke at 4:40 am after a night of the cadets waking up at all hours to perform Fire Guard duty (a shift-based night watch where the cadets understand the importance of guard duty). MREs, Meals Ready to Eat, are what Calvin, the cadets and I lived on during our stay there. They are what soldiers eat during deployment and there are surprisingly alright for their strange way of preservation. The cadets awoke and assembled in the nearby parking lot, ready in formation and standing tall. By 5:30, the cadets were saluting and were called to attention. After the morning salute, the cadets marched in their formations and separated to go to either the obstacle course or Field Leadership Reaction Corps (FLRC). We first went to the obstacle course where the cadets were required to try each obstacle at least once, with two attempts, then they redo it as much as they needed to conquer it. The cadets completed courses with names like the reverse climb, tunnel, hurdles, swing and stop, the weaver, cargo net, belly crawl and low belly over. 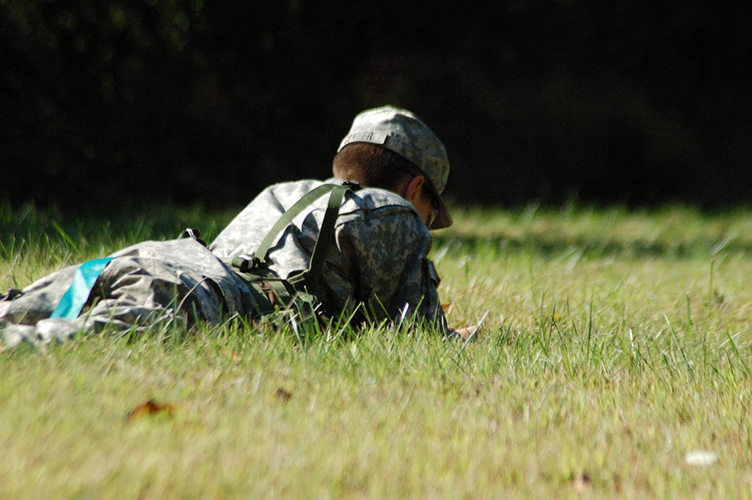 FLRC teaches the cadets teamwork and leadership skills. Consisting of abstract set-ups, they experience high-pressure situations that are time sensitive. Some scenarios included getting a metal barrel up a wall with a wheelbarrow and rope involved. 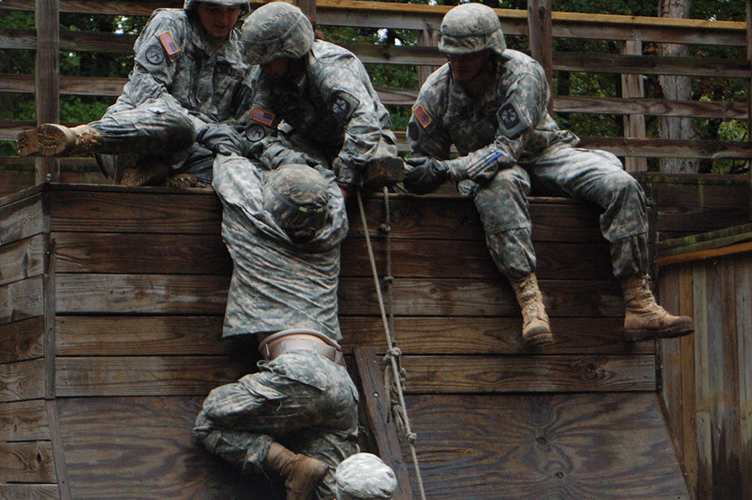 Cadet Clark of McDaniel said, “FLRC stresses the importance of teamwork and communication especially when you need to be silent.” Some cadets needed to climb up a slanted wooden wall with their teammates there every step of the way to ensure each other’s safety and success. Cadets Burne and Remaniak, both from Mount St. Mary’s, stated that they “utilized their individual skills while working as a team effectively.” The 17 dimension grading system, which is how the cadets are “graded” from these training weekends is divided up into three categories: N (no go), S (satisfactory), and E (excellent). The final training of the weekend for most cadets (because of midterms, most of the MS1’s and MS2’s went back to their respective schools) was a simulated strategy and retrieval game modeled after capture the flag with elements of battlefield surveying. Again, teamwork was emphasized as the cadets had to be extremely quiet as to not give away their location. They were in two teams: red and green. Calvin and I got to act as international media and were told to pull the cadets aside in the middle of their mission and question them. Most of their responses to our questions were scant. “No comment.” was a popular answer, but most said what Lt. Col. Atherton said their mission was. Some cadets mentioned their team leaders did an excellent job directing them and showing them protocol in the field. Overall, it was an honor being at this training weekend. Now I see what the cadets we pass by in the halls and see on the quad do to fulfill their duties as officers-in-training. I was surprised by the amount of physical work the cadets need to perform, but in the end, ROTC is also about mental awareness and communicative abilities. 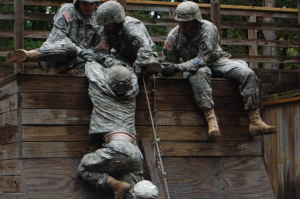 1 Comment on "Courage and Teamwork: Experiencing ROTC Fall 2014 Training Weekend"
Seriously…are you inferring that women would normally talk about things of the girly nature if they were not in such an environment. Just by reading this I could tell the author had to be really naive and young. What do women normally talk about then? Is it all nonsense and gossip? I wonder if you asked the ROTC women if they normally acted that way or just assumed that they became cackling girls when not in training.